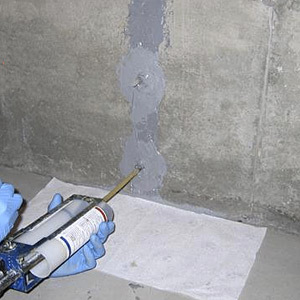 Foundation Crack Repair in Rhode Island and Massachusetts - Basement waterproofing and concrete repair. The Crack Tech specializes in sealing basement and foundation cracks to prevent water seepage and moisture penetration. The top-quality products we use are formulated including epoxy and urethane to guarantee a lasting repair. 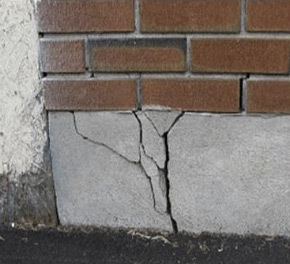 While foundation cracks generally do not pose a structural problem, they are prone to water leaks and are not aesthetically pleasing. Furthermore, if not repaired, and left to degrade further, they can become a structural issue. The epoxies we use effectively seal the cracks and reinforce the repaired area. Often, the repair may be stronger than the unrepaired concrete area. 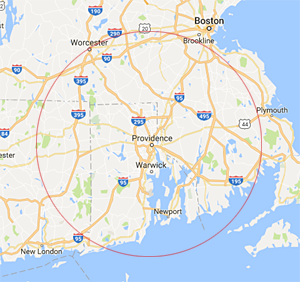 Located in Pawtucket, RI, we are centrally located to service all of Rhode Island, southeastern and central Massachusetts and northern Connecticut. We are available to assess your project requirements, develop a plan, and formulate a strategic and cost-effective solution. We are mindful of both tight schedules and limited budgets in today's economy, and work with our customers to meet their goals within their financial requirements. Licensing: We are fully licensed and insured. Payment Terms: Cash, credit cards, and personal checks accepted.